As a parent, no matter how crazy our life is, we always make sure that our children are safe and protected. Young babies are fragile and we should always have our eyes on them because they do not have the capability to complain in a way that we can easily understand. But sometimes, we see news of parents neglecting their children and we wonder how can they possibly stomach the fact their kids are in danger yet they do not do anything about it? When this toddler arrived with her mom at the hospital in Anderson, Indiana, this little girl was unresponsive but it was still unclear what really happened to her. Paisley Hudson, a 23-month-old toddler passed away on July 28. Her death was a mystery, not until her autopsy reports came back. She died due to multiple blunt force injuries and two liver lacerations caused by stomach bleeding. Paisley also suffered a skull fracture and many bruises. These are all signs of a physical abuse. Even though Paisley’s death was still unexplainable, the authorities believe that her mom and his boyfriend are the ones who are responsible for her death. Kayla Hudson, Paisley’s 25-year-old mom claims on the court documents that she found her daughter lifeless and cold in a motel bed that morning that she passed away. However, she did not call 911 but reportedly attempted CPR and even placed Paisley in a tub of hot water to revive her. After all this, she drove the child to a hospital where she was declared dead. Ryan Ramirez was charged with Paisley’s murder while the mom was charged with felony neglect of a dependent causing death. Both of their statements leading to Paisley’s death did not match. According to Ramirez, he and Paisley went to the Buffalo Wild Wings where Hudson was working, then they all returned to the Red Roof Inn where they were staying at that time. 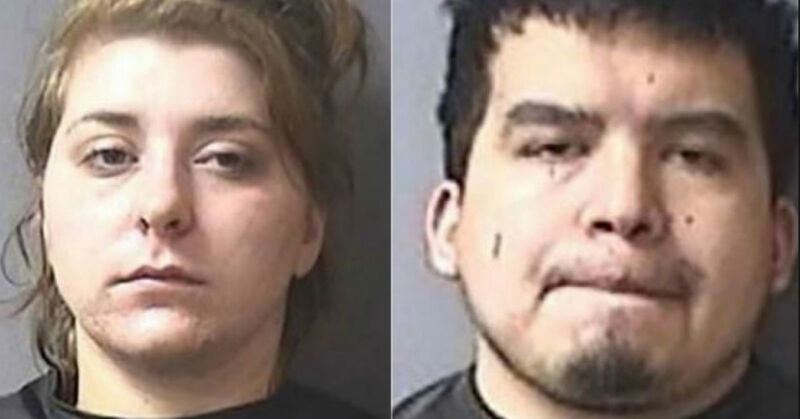 The court documents also revealed that Ramirez claimed that he changed Paisley’s diaper and placed her in her playpen while he and Hudson were watching TV. At around 3 o’clock in the morning, he checked on Paisley. Between 5 to 6 in the morning, Hudson reportedly woke up to find the child unresponsive and cold. But according to Hudson, she went to Walmart as soon as they arrived back to the motel to buy supplies to hide the bruises on Paisley’s 3-year-old brother Riley. Then they went out again to buy food and cigarettes before they returned to watch TV and checked on the child at six in the morning. If convicted of the neglect charge, Hudson can face up to 40 years in prison and Ramirez would be behind bars for up to 65 years if he is convicted of Paisley’s murder. He will also face an additional of up to 16 years in prison for the neglect charges.